Charts & Carts stock and custom printed chart dividers provide quick reference to your medical record documents. Our standard sets are in stock for immediate delivery. Made-to-order chart dividers can be produced to specification. Choose your own titles! 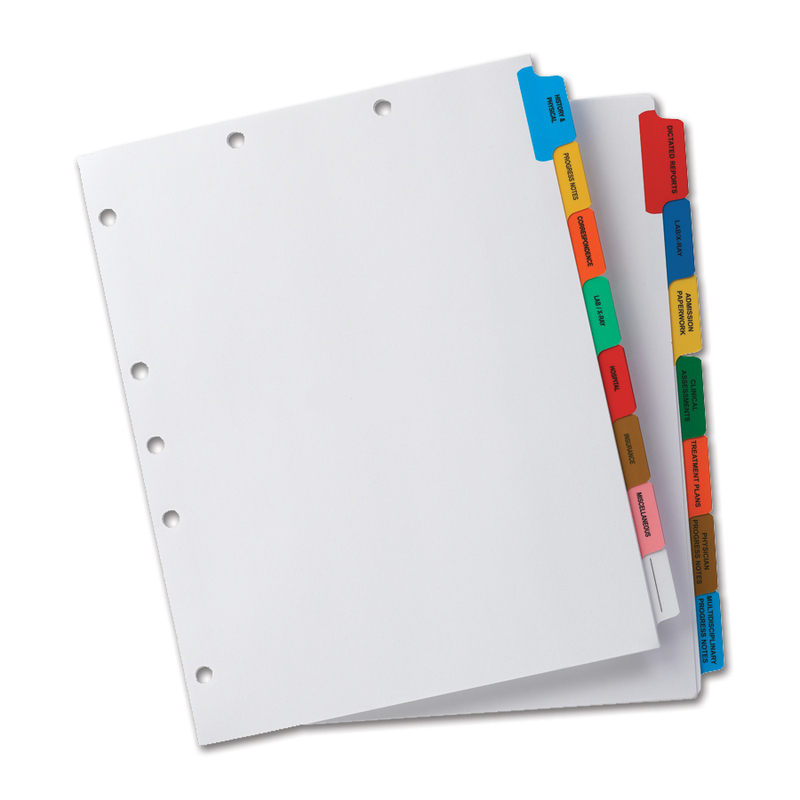 Color laminated tabs are standard providing quicker access to a your medical records. Already using chart tab dividers? Call us or send us a sample and we will provide you with a lower price quote for duplicating your exact set. If you are not currently using chart dividers, then contact the experts at Charts & Carts for personal assistance in designing a charting tab divider set for your medical facility. SKU # CTDS-53011, Compare & Save Big! SKU # CTDS-53511, Compare & Sae Big! SKU # CTDS-53001, Compare & Save Big! SKU # CTDS-53501, Compare & Save Big!